Designed to protect items during transport and storage. 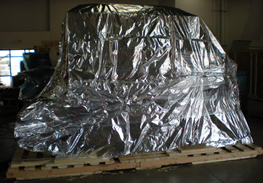 These 3-dimensional barrier bags are ideal crate and box liners and skid covers. They are perfect for protecting expensive and/or large machinery from corrosion. 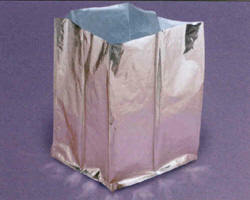 3-D shrouds are five sided and are used as covers for an object or as a liner for a container. 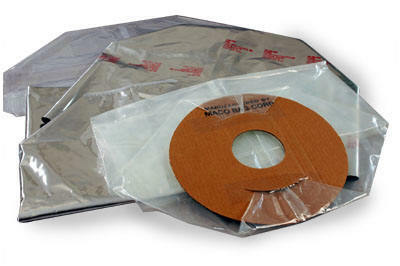 Comprised of four square sides and a flat bottom, they can be made from any Polyethylene Film or Barrier Laminations. 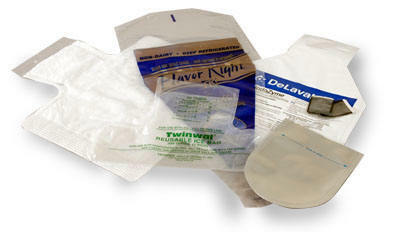 These 3D bags and shrouds are manufactured out of heavyweight foil structures. Fully hermetic when heat sealed. Contour Shape Bags give your product a distinctive image. We can design and manufacture an irregular seal and outside cut for any unique shape. The available materials range from pliable polyethylene options to barrier protecting laminations, printed or plain. If a square bag just does not meet your needs, we can create a Contour Shape Bag specifically designed for your application.